In subtle shades of painted or natural ash, our Cleo Credenza is designed to bring the warmth of wood to a versatile storage solution. Total Depth with door open is 43"
The Cleo Credenza ships in 1 box with a total weight of 122 lbs. 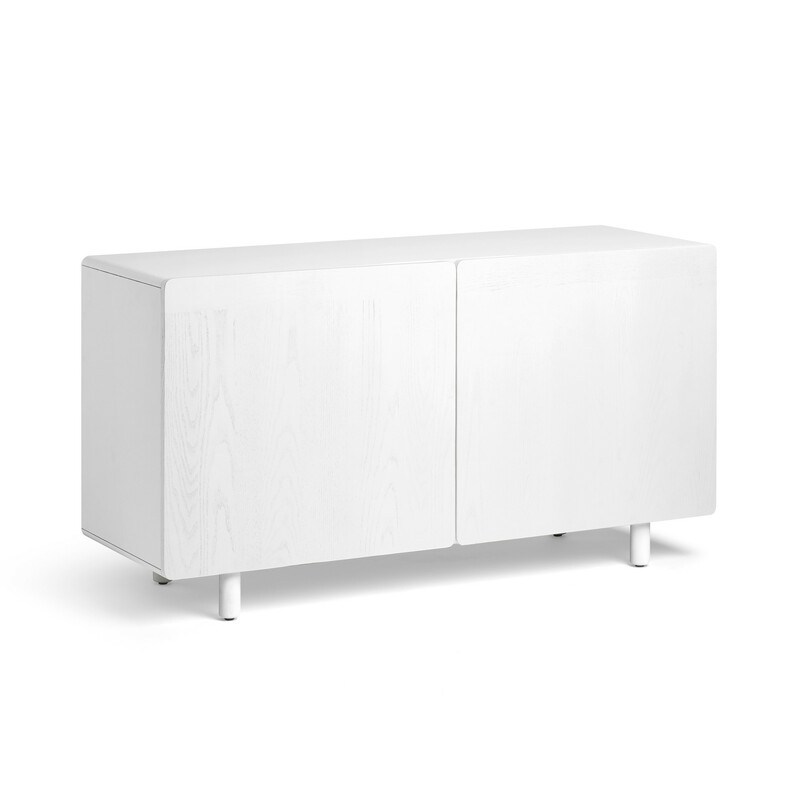 1 Credenza Box: 56"L x 23"D x 29"H, 122 lbs. Accommodates a flat-screen television up to 45"